Will I get into trouble for using it? Can it really solve my health problems? If these are some of the questions you’ve been looking to find the answer lately, then you have clicked on the right guide. 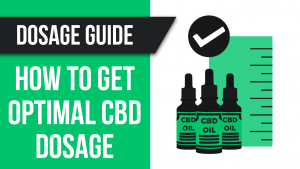 There are countless resources on the web through which you can learn about cannabidiol, but what makes this guide the best? It’s the fact that this is the most comprehensive resource on the web, containing answers to all the pressing questions – and backed by scientific information. So, before you go ahead and buy a CBD product, take some time out to read this in full. It knowledge contained here might just save you a lot of time and money. 8 Which type of CBD is most effective? CBD is short for cannabidiol. It is one of the major constituents of the hemp plant, accounting for almost 40% of the plant’s extract. This cannabinoid was discovered way back in 1940 and is just 1 out of 113 cannabinoids identified in the hemp plant. 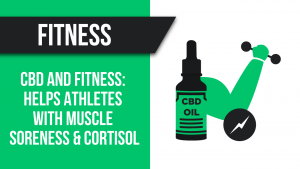 Over the years, it has been found that CBD has many health benefits. And as of 2018, the FDA (Food and Drug Administration) has approved the use of cannabidiol as a prescription drug in the form of Epidiolex. This prescription drug, however, has only been limited to 2 rare forms of childhood epilepsy. So, before we proceed, let’s get a common misconception out of the way. CBD isn’t responsible for any psychoactive effects. That is entirely caused due to another cannabinoid, Tetrahydrocannabinol or THC in short. Moreover, cannabidiol can, in fact, suppress the psychoactive effects produced by THC. Now, let’s try to understand how exactly does CBD work on our body. To be fair, we still don’t fully understand the exact actions this chemical has on the human body. You can blame it on lack of research. However, on a positive note, due to the recent relaxation of marijuana laws in North America, we can expect to have a much clearer perspective on the effects of this cannabinoid. As of now, our understanding is that cannabidiol targets the endocannabinoid system which is present in the human body. This endocannabinoid system receives transmissions signals from all the various cannabinoids which are consumed. CBD, in particular, has over 63 molecular targets in the human body. And based on that interaction, we can experience many therapeutic benefits (more on that later). 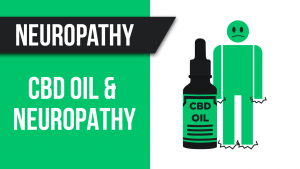 However, for cannabidiol to work optimally, it is highly recommended that whatever form of cannabis product you consume, it should have a high percentage of CBD. As I’ve mentioned before, CBD was first discovered in 1940. Back then, two scientists named Adams and Todd, along with their colleagues successfully isolated the compound from the cannabis plant. After assessing cannabidiol, they thought it to be biologically inactive. Later on, in 1963, two scientists named Mechoulam and Shvo took a deeper dive into the subject and successfully established the chemical structure of the compound. Both CBD and THC are produced through the same metabolic pathway of CBD-carboxylic acid. However, in the penultimate step, THCA Synthase and CBDA Synthase catalyze, and that results in the formation of tetrahydrocannabinolic acid (THCA) and Cannabidiolic acid (CBDA) respectively. After the process of decarboxylation (removal of CO2), CBDA and THCA get converted to CBD and THC respectively. When it comes to solubility, CBD is insoluble in water. However, it is soluble in organic solvents such as pentane. And under room temperature conditions, it is a colorless crystalline solid just like refined white sugar crystals. Interestingly, under acidic conditions, CBD cyclizes to THC. As you might already know, CBD is available in many forms. Oil tinctures, vaping products, various types of edibles, and even topicals. Read along to find out how to use the aforementioned products. 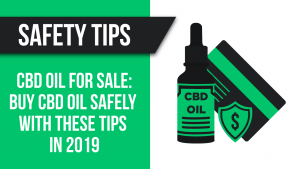 In the world of CBD, oil tinctures are quite common, and you can consume them in two different ways. Now, before we proceed, let us clear out a misconception. These oil tinctures are not meant for vaping. 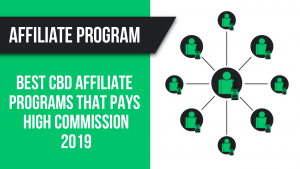 However, some companies do sell products which can be used for both purposes. But, those are few and far between. So, the first and most effective way to consume oil tinctures is sublingually. In this method, you need to put a few drops of the oil underneath your tongue and hold it for about two minutes. Once the oil gets absorbed, you will feel the effects of the CBD. For beginners, this process of consuming might be a little overwhelming, especially if the oil has a natural flavor. And that brings us to the second method of consuming oil tinctures. This is rather simple, and all you need to do is mix a few drops of the oil with your food or drink and consume it orally. There are significant differences between the two methods. Not only does the latter method take longer to act (about 45 minutes compared to a few minutes in case of the sublingual process), but its bioavailability is also lower. More on that later. Apart from oil tinctures being available for humans, companies also make these products for pets. In some cases, tinctures for both humans and pets are the same. However, not every natural flavored oil will be compatible with your furry friends. So, be sure to check with the company first before you give it to your dog or cat. Like CBD oil tinctures, vaping products are also quite popular. However, the vaping market is a little more sophisticated compared to tinctures. How you ask? Well, there are a few different types of vaping equipment available on the market. So, in order to make it simpler, let’s first talk about the similarities. All types of vaping equipment have four basic components in common. Whether you buy a vaporizer, a simple pen style vape, or a disposable vape, they all come with a heating element, which is also known as an atomizer. Apart from that, they also share the following parts – a mouthpiece, a chamber to hold your vaping fluid, and a battery. Now, let’s talk about each type of vaping equipment in more detail. This is one of the simpler vaping equipment. Now, there are two types of pen-style vapes. The first type of pen-style vape has a tank where you load the e-liquid or vape oil. There are also pen-style vapes which can take in CBD isolate. We’ll cover more about isolates in the next section. The other type of pen-style vape doesn’t have a tank. Instead, you need to load a vape cartridge on top of it. Both variations of pen-style vapes are reusable. However, after prolonged use, you may need to change the coil. Otherwise, it can become a health hazard. Vaporizers are quite similar in function to pen-style vapes. However, they are more sophisticated and as a result, costlier. This vaping equipment usually has a tank to load the vape oil or e-liquid. The functionality, however, is similar, but, they offer better filtration techniques compared to their pen counterparts. This is the cheapest type of vaping equipment available on the market, and essentially, they are non-disposable pen-style vapes. And, after the vaping liquid is finished, you can no longer use this equipment. Now, since it is cheap, it is not as well built as the vapes mentioned earlier. So, it might not be good for your health in the long run. However, for temporary use, it should be fine. CBD isolates are the purest form of cannabidiol available on the market. While every other product contains additional elements, isolates from top companies are usually 99.9% pure. They are available in both powder and crystal form. While the powder can be mixed with your food or drink, crystals offer more diversity. You can vape it in a compatible vaping equipment or crush it and mix it with your food. Needless to say, the effect will differ in each case. These are no different from your standard medicinal capsules. And all you need to do is put it in your mouth and gulp it down with some water. It will take about 45 minutes before you feel the effects. Just like in the case of consuming oil tinctures orally, you can expect the strength or bioavailability to be similar. While edibles are not as effective as vaping or consuming oil tinctures sublingually, they can be a fun mid-day snack. Many companies sell CBD infused gummy bears and other candies. These can also be ideal for beginners who may be overwhelmed by the natural flavor. Edibles don’t always have to be in the form of candies. Some brands also sell naturally flavored products which are infused with other healthy substances. Like oil tinctures, this type of edible can also be mixed with your food or drink to make the consumption process easier. This is the last type of CBD product we’ll cover in this section. As you might have guessed, topicals are products which can be applied on your skin. Now, there are two types of topicals available on the market. The first being a product to treat areas of chronic pain, while the other type of topical is primarily used for beautification and can also treat various skin conditions. In both cases, you need to apply a small dab of the cream over the afflicted area and wait for it to get absorbed. I have mentioned bioavailability before, so what does it exactly mean? Well, the formal definition goes as follows – it is the degree and rate at which a substance is absorbed into the bloodstream. Naturally, the various consumption methods of CBD will result in a different bioavailability rating. So, when we talk about ‘the most efficient method of consumption,’ we are essentially referring to the bioavailability. Now, that brings us to the most exciting part of this section. Which CBD consumption method is the most efficient? While oil tinctures are the most common products which are consumed sublingually, CBD lozenges and sprays can also be consumed in the same way. In this method of consumption, the bioavailability ranges from 12% to about 35%. 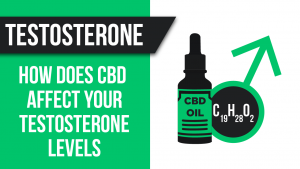 In other words, if you consume 100 mg of CBD sublingually, your body will effectively absorb 12 to 35 mg. The significant difference between the highest and lowest bioavailability rates is mainly due to the quality of CBD. Like we mentioned earlier, sublingual consumption is better than ingesting CBD products orally. But, the question is by how much? Well, let’s find out. Quite a few CBD products can be consumed orally. The list includes oil tinctures, edibles, isolates, beverages, and capsules. In the case of oral consumption, the bioavailability ranges from a paltry 4% to a moderately high 20%. Now, compared to sublingual consumption, that is significantly less. And the main reason for that is our digestive system. You see, once the product is consumed orally, it must pass through the body’s metabolic and digestive systems. And that will filter out a large chunk of the CBD. That is how you get a significantly lower bioavailability in case of oral consumption. Now, let’s find out how high is the bioavailability rate of vaping. In the case of vaping, your choices are pretty limited. You can only vape specialized oils which are more commonly known as e-liquids, or CBD isolates crystals. 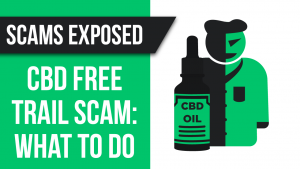 Now, if you have delved into the world of CBD products, you must know that vaping isn’t cheap. In fact, e-liquids are almost always costlier than oil tinctures. However, that doesn’t reveal the entire truth. In fact, when you take the bioavailability into account, vaping easily becomes one of the most efficient and economical ways to consume CBD. So, what exactly is the bioavailability of vaping? Well, it ranges from 34% to 46%. However, some tests have also revealed a bioavailability of up to 56%. That is impressive, to say the least. In case you’re wondering if there is any other method which is more efficient than vaping, then you would have to go down the intravenous route. While this isn’t a popular method of consuming CBD, hypothetically speaking, the bioavailability would be 100%. However, we would advise you not to go down that road. Not only can it be a health hazard, but it is also highly inconvenient. Cannabidiol can be broadly categorized into three main types – full-spectrum, broad-spectrum, and isolate. Now, if you ask me what the most potent of the three is, we’ll have to evaluate them one by one. Full-spectrum, also known as whole plant CBD contains every possible cannabinoid that are found in hemp plants. These include CBN, CBG, and THCV (Tetrahydrocannabivarin) among others. It also contains flavonoids, terpenes, fatty acids, all of which combine to offer an increased therapeutic value and produce a phenomenon which is known as the entourage effect. Does it contain THC? Yes, but usually in incredibly low concentrations (less than 0.3%). This small quantity is not enough to trigger a significant psychoactive reaction, but it can show up in a drug test. Broad-spectrum cannabidiol is sort of like its full-spectrum variant but without any of the THC content. You get the entourage effect that is associated with full-spectrum, minus any THC ingestion. This type is most suitable for people who cannot afford to leave traces of THC in their system, be it for health reasons or simply to pass an upcoming drug test. In fact, there is variety carefully made by adding beneficial cannabinoids, flavonoids, and terpenes to CBD isolate. 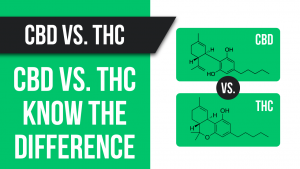 THC is the main ingredient that separates full-spectrum and broad-spectrum cannabidiol. Isolate is the complete opposite of full-spectrum CBD. It is the purest version of cannabidiol that has been isolated from other cannabinoids to give you a range of desirable effects. Isolates come in the form of white powder or crystals with very high concentrations (99%+) CBD. To consume, you need to add the isolate powder to any carrier such as MCT oil. You may even mix it with your food. There is no chance of registering positive on a drug test because pretty much everything aside from cannabidiol is removed in the process of making it. Which type of CBD is most effective? That would be full-spectrum CBD. Before 2015, experts used to believe that isolates were the most potent form due to the extremely high percentage of CBD. However, this study done by the Lautenberg Centre for General Tumor Immunology proved otherwise. Two groups of mice suffering from inflammatory conditions were given full-spectrum and CBD isolate. 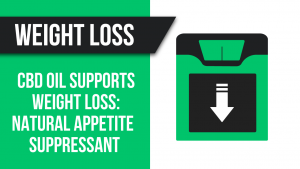 The researchers found that the group that consumed full-spectrum got better levels of relief. They also found that relief increases with increasing doses of full-spectrum cannabidiol. Does this mean CBD isolates are a bad choice? No, people who cannot afford to ingest THC for whatever reason should give isolates a try. Isolates also have a reputation for not causing any adverse side effects, unlike other types of cannabidiol. The entourage effect is a phenomenon that occurs when many compounds within the cannabis plants interact with our body to produce an effect that’s impossible for any single component to produce alone. You can call it a synergistic effect. Think of it as two people with different skill sets combining forces to create something remarkable. Similarly, when different compounds are fused together, they modify each other’s chemistry to make the substance more effective. The best way to observe the entourage effect taking place is by comparing the effects of the whole cannabis plant and THC or tetrahydrocannabinol, which is the primary psychoactive component. There are THC-only medicines and CBD-only medicines, both having their own set of pros and cons. Whereas THC only medicines refer to synthetic variants of THC (the most popular being nabilone and dronabinol), CBD has Charlotte Web, a non-intoxicating strain that came into the limelight after it successfully treated a child suffering from epilepsy. This unexpected and miraculous remedy prompted multiple states to adopt CBD-only laws, while the THC-only medicines remain illegal due to their psychoactive properties that make you feel high. Nabilone and dronabinol are legal pharmaceuticals that can be used to treat nausea induced by cancer-related treatments, but their effectiveness still remains in the shadow. In a 2011 survey on administration forms, it was found that only 1.8% of a total of 953 patients prefer taking THC-based pharmaceuticals over infused or inhaled methods. But that doesn’t imply synthetic, THC-based hemp is useless. In states where the laws limit access to viable alternatives, relying on pharmaceuticals is everyone’s best option. The term Whole Plant Medicine is used to denote substances that utilize the full range of therapeutic benefits cannabis compounds offer. The agents, such as CBN, CBG, THCv, THCa are taken out of CBD and THC-only medicines, thus preventing the entourage effect from occurring. And this is just the tip of the iceberg. The many therapeutic agents that are present in Whole Plant Medicine can treat so many varieties of symptoms and diseases. Ethan Russo, M.D., who is a neurologist and has studied the role of cannabis compounds in the human body, revealed in this study how cannabis synergy and phytocannabinoid-terpenoid can create entourage effects. And it’s not only the combination of THC and CBD. Even minimal amounts of terpenes (oils that attribute to the cannabis-like smell) can make a significant difference. In conclusion, it’s safe to say the possible synergies that we can get from Whole Plant remedies are limitless in potential. As science progresses, we can expect cannabidiol to take a greater role in shaping our health. Cannabidiol has shown great promise in treating a myriad of ailments, but does that mean it doesn’t have any adverse side effects? Not at all. Like any health supplement, the determinants of potential side effects here too depending on the source and quality of the CBD. Lightheadedness is a temporary side effect that many people reported to have experienced after consuming cannabidiol products in higher doses. You can treat it by drinking a warm cup of coffee or tea. This is one of the most commonly reported side effects and is caused by the endocannabinoid system’s role in the suppression of saliva secretion. The “cotton mouth” effect is mostly caused by the receptors in the submandibular glands which are responsible for producing saliva getting affected. 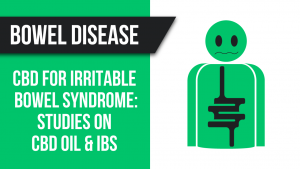 If you experience any such symptoms, keep a bottle of water handy. High doses of cannabidiol consumption may also slightly lower your blood pressure. We can also say that symptoms like lightheadedness, drowsiness are caused by the lowering of blood pressure. Even though this occurrence is rare, some people have reported that they felt drowsy after consuming cannabidiol in higher doses. The obvious fix is to just consume within the permitted threshold. People who have been diagnosed with Parkinson’s disease may experience an increase in tremors if they consume higher doses of CBD oil. Several studies otherwise suggest that cannabidiol is totally safe for Parkinsons’ patients and can help them lead a more comfortable life. In simple terms – cannabidiol interfering with our body’s capability of metabolizing pharmaceuticals. This happens because cannabidiol can suppress the activity of enzymes in our liver such as cytochrome P450. 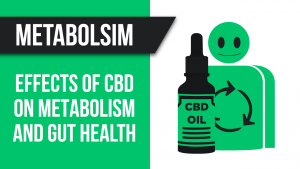 Among many of the risks, the one that may have the most impact on anyone is hepatic drug metabolism inhibition, or to put it simply, the reaction of CBD with other pharmaceuticals. Cannabidiol inhibits the cytochrome P450 enzyme, which is directly involved in helping us metabolize many drugs. When inhibition of cytochrome P450 occurs, cannabidiol can either increase or decrease the effect of the pharmaceutical drug. This is quite similar to what grapefruit does to our body as it influences the same enzyme. 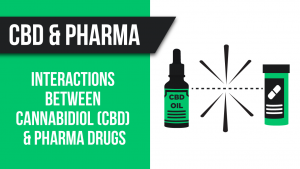 You can read more about CBD’s influence on other drugs. The legality of cannabidiol is still quite sketchy in the United States, despite companies saying it’s legal in all 50 states. Sure, CBD is harmless, but some places are yet to catch up to the revolution. When is CBD Legal? When the product you buy contains little to no amount of THC and have been manufactured using hemp plants. But finding that out is not always as easy as you might have been led to believe. CBD can come from both hemp and marijuana, and that is where the need for research lies. Read this Article on the legality of CBD Oil. 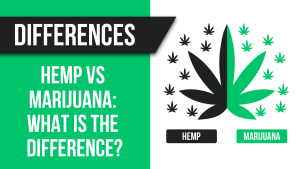 Both marijuana and hemp might belong to the cannabis family, but they each have distinct characters that are separate from one another. The most pivotal one being the amount of THC present in the CBD derived from those plants. THC or tetrahydrocannabinol is a psychoactive agent contained in both, but in a significantly lesser amount in CBD oil derived from hemp. How much exactly? Less than 0.3% in most cases. Cannabidiol derived from marijuana plants, on the other hand, can have THC content ranging from 10 to 30%. And because cannabidiol derived from hemp has such a low amount of THC, it is deemed to be legal in most states as you don’t run the risk of getting high. So, as you can understand, the source is what that mostly defines if the cannabidiol product is legal or illegal in your country or state. 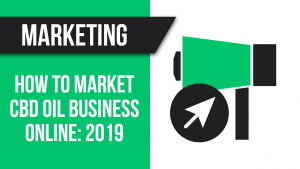 However, due to the all-pervading confusion between CBD derived from marijuana and hemp, the stigma associated with “smoking up,” “getting high,” and “using drugs” still exists. From where we stand today, it is only reasonable to expect a bright future for CBD and for medical cannabis in general. This is not only due to its promising benefits but also because of the expected rise in demand. So, if you still hold the belief that the medical cannabis movement is a passing fad, now might be the time to re-evaluate your thoughts. 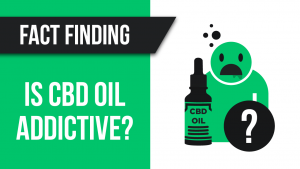 I hope you enjoyed reading this comprehensive guide on CBD oil. I’ll catch you again later! 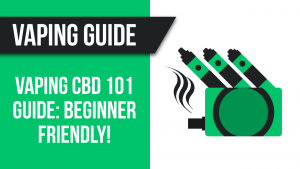 Vaping CBD 101 Guide: Beginner-friendly! 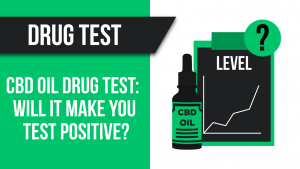 CBD Oil Drug Test: Will It Make You Test Positive?